Hand rolled into ball-like shape covered with a few golden tips. Each ball, with dried yellow chrysanthemum flowers, is roughly 7 grams. slight sweetness of yellow chrysanthemum. The flavors of yellow chrysanthemum and Dian Hong black tea bring out the best in each other. Yellow chrysanthemum is so named for its golden blooming flowers, which have very grounding and soothing effect on your nervous system. After added with some yellow chrysanthemum, this black tea ball does not only have the health benefits above, but also a better flavor and taste. Brewing it with a glass cup or teapot, you will interestingly find that the yellow chrysanthemum is gradually recovering fresh, struggling from the tea ball and finally floating on the water. Of course, Gaiwan is also suitable for this tea, which has better effect than Rose Dragon Ball Black Tea and Jasmine Dragon Ball Black Tea, for the flavor of black tea would not completely conceal the scent of yellow chrysanthemum. Other flavors for you to choose: Rose Dragon Ball Black Tea, Jasmine Dragon Ball Black Tea. 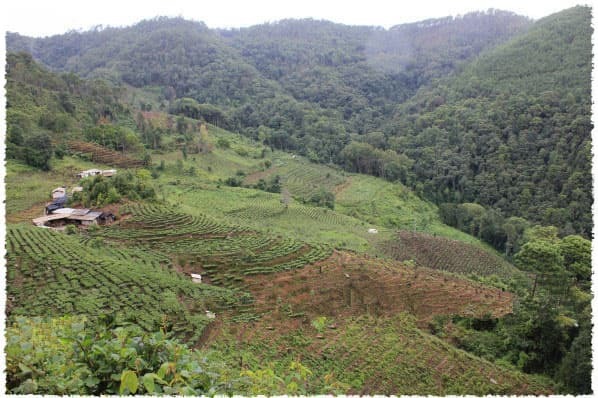 These tea trees grow in high altitudes covered by large area of primeval forests, and all the natural ecosystems have been well-protected which makes it becomes a very ideal place for an optimal cultivation and natural drainage. 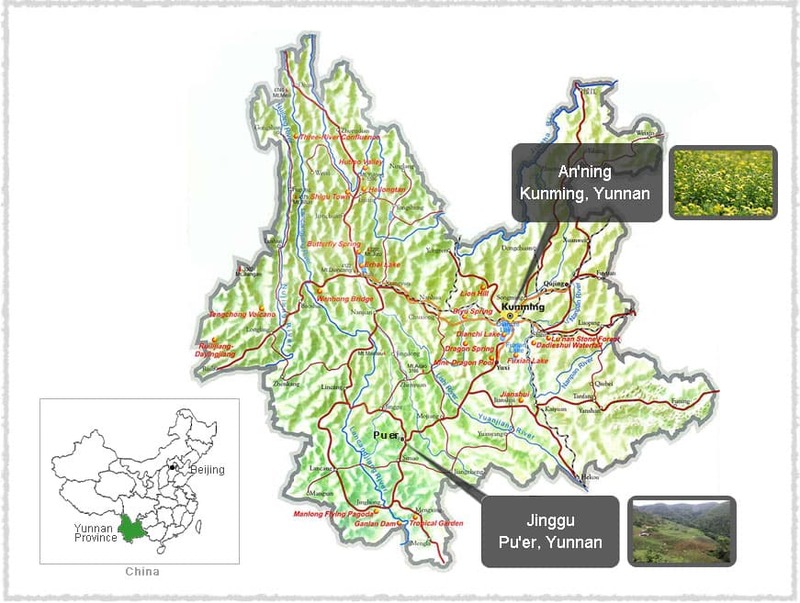 According to the 2007 satellite positioning survey results, the old tea tree resources include ancient tea garden and ancient tea tree populations are more than 100 mu in Pu-erh City. Kunming is the capital city in Yunnan province, which is also called the “Spring City” due to its weather. It has one of the mildest climates in China, and the average temperature here is about 15℃. With its perpetual spring-like weather which provides the ideal climate for plants and flowers, Kunming is known as the "Flower City ", because it covered with blossoms and lush vegetation all-year round. Our Chrysanthemum Dragon Ball Black Tea is made from Yunnan large-leaf species old tea trees. 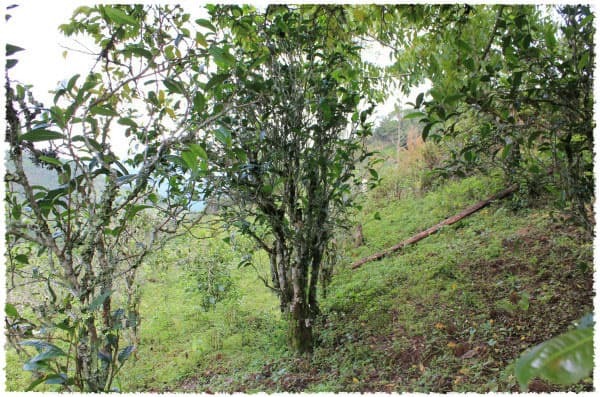 Old tea trees, which refers to the age of trees range between 50-300 years old. While, tea trees over 300 years old are considered as ancient tea trees. Old tea trees have long roots that go deep into the ground, and mostly they’re grown in favorable mountain ecosystem conditions. 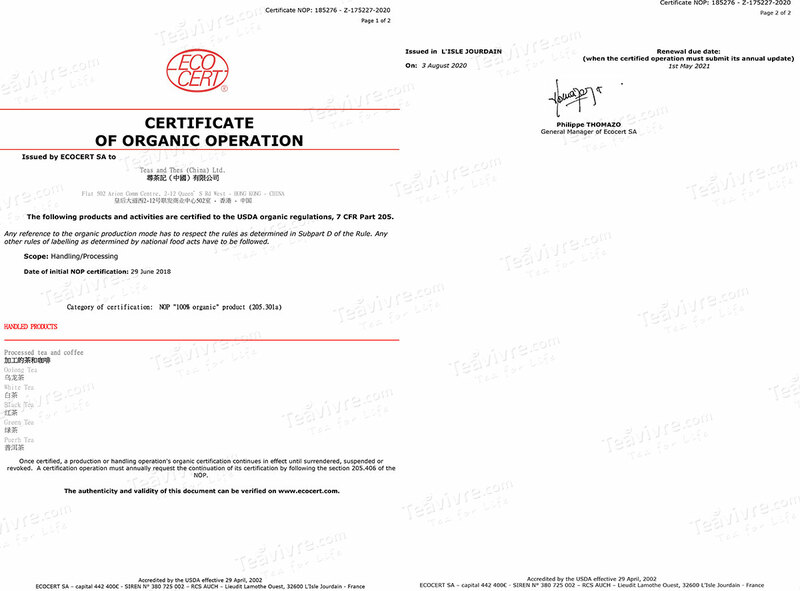 Therefore, it can reduce the damage caused by diseases and insects. Teas grown in this area are more likely to be regarded as natural teas, because there’s no pruning or any manual managements involved in. That’s why it has a lower output than Taidi Cha. 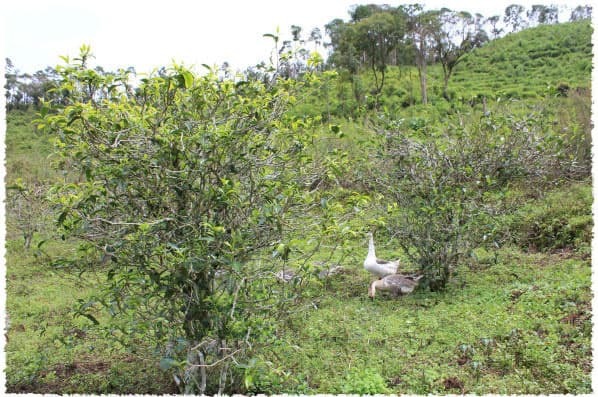 The nitrogen contains in old tea trees has exuberant metabolism, which can produce a large amount of amino acids, protein and tea polyhenols through a series of chemical reactions. Compared with old tea trees, although tea from younger tea tree still tastes rather mellow and fresh, it’s a little weak in sweet aftertaste. Yellow chrysanthemum is so named for its golden blooming flowers. There are many productive place of yellow chrysanthemum in China, and the yellow chrysanthemum used in this tea ball is from the well-picked local yellow chrysanthemum of Yunnan, which bloom in summer with apple-like scent on its leaves. The flower can help with digestion and dilute the dark rim of eyes. Moreover, yellow chrysanthemum is called “plant doctor”, which can help to recover the sick or weak plants nearby. In addition, it has very grounding and soothing health effect on our nervous system, being able to relax our body and stabilize our mood, as well as improving insomnia and sleep quality.